Joe Dorish Sports: Should Serena Williams Be Favored Over Angelique Kerber at 2017 Australian Open? Should Serena Williams Be Favored Over Angelique Kerber at 2017 Australian Open? 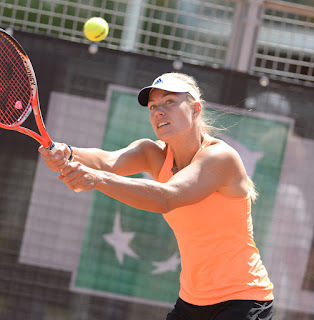 In 2016, Angelique Kerber had a breakout tennis season in which she won her first two Grand Slam titles and she is currently the #1 ranked woman in the world ahead of #2 ranked Serena Williams. Angelique Kerber's first career Grand Slam win was at the 2016 Australian Open where she defeated Serena Williams in three sets. As the two top ranked women tennis players in the world prepare to square off in the 2017 Australian Open, Serena Williams is the favorite to win the tournament. Should Serena Williams be favored over Angelique Kerber to win the 2017 Australian Open? Based upon pedigree, Serena Williams deserves to be favored over Angelique Kerber. While Angelique has won the Australian Open once and has two career Grand Slam singles titles, Serena Williams has won the Australian Open 6 times and has 22 total Grand Slam singles titles. Based upon recency, though, Angelique Kerber should be favored over Serena Williams. In addition to her win over Serena Williams at the 2016 Australian Open, Angelique Kerber also won the last Grand Slam tournament played at the 2016 U.S. Open. Serena Williams did beat Angelique Kerber in the 2016 Wimbledon final but that was on grass. On the hard court surface that the Australian Open is played on, Angelique Kerber has had more recent success in the Grand Slam tournaments than Serena Williams has. In terms of how both women come into the 2017 Australian Open one wonders if either woman deserves favoritism. Serena Williams lost to fellow American Madison Brengle in the 2nd round of the Auckland Open two weeks ago while Angelique Kerber lost to Daria Kasatkina in the 2nd round at the Sydney International last week. Looking over the draws for the 2017 Australian Open, Serena Williams will have a tougher time getting to the finals. Serena has to play Belinda Bencic in the 1st round which could be a tough match and in her half of the draw are Agnieszka Radwanska who just finished 2nd at the Sydney International and Karolina Pliskova who just won the Brisbane International. So should Serena Williams be favored over Angelique Kerber at the 2017 Australian Open? Based upon her pedigree yes but based upon recency, age (Kerber is 7 years younger), and their respective draws at the 2017 Australian Open the answer is no.